Terra images featured on NASA’s Earth Observatory this January. 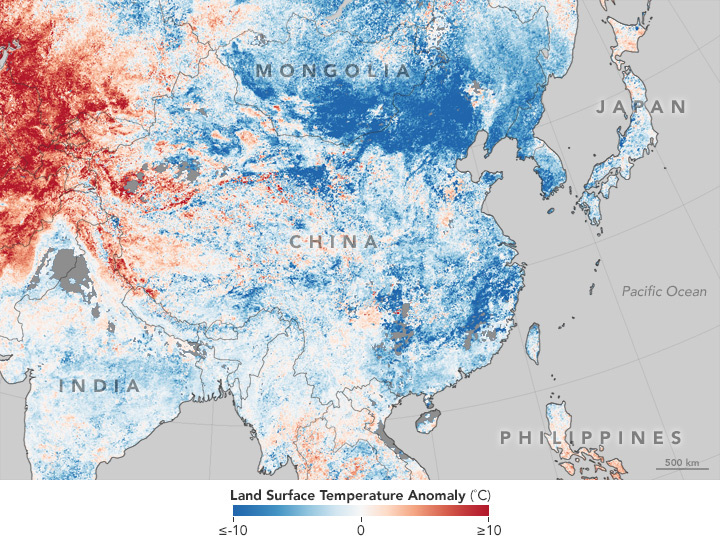 Cold Snap in Asia – Features Moderate Imaging Spectroradiometer (MODIS) image showing land surface temperatures in Asia from January 17–24, 2016, compared to the 2001–2010 average for the same eight-day period. The cold snap is being attributed to the polar vortex over Asia. 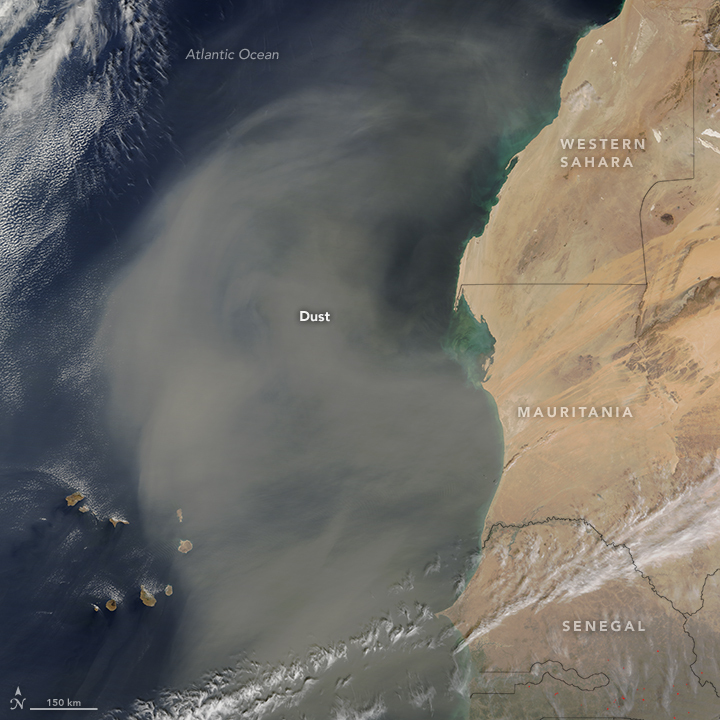 Dust Storm off West Africa – On January 26, 2016, MODIS acquired this natural-color image of dust from Western Sahara, Mauritania, and Senegal blowing over the Atlantic Ocean. 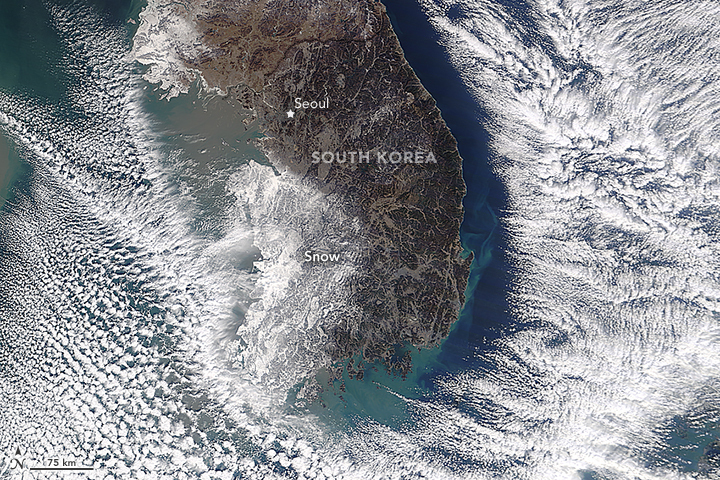 Snow in South Korea – While a large snowstorm in January 2016 covered the eastern United States, winter weather was also whitening areas across Asia as seen in the MODIS image. 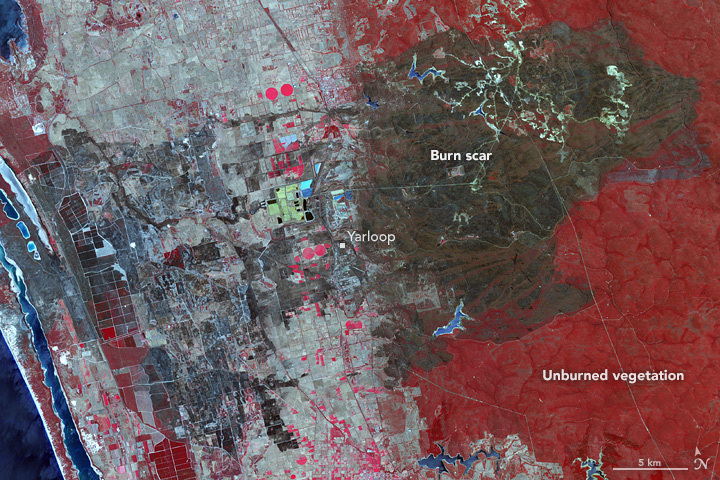 Waroona Fire Burn Scar – The Advanced Spaceborne Thermal Emission and Reflection Radiometer (ASTER) acquired this image of the lightening triggered Waroona fire in Western Australia. 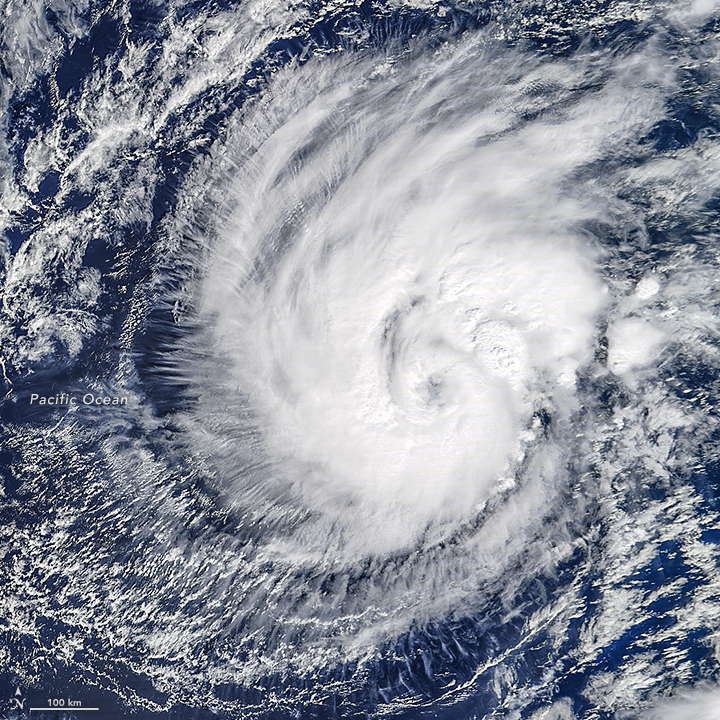 An Atlantic Hurricane…in January – The Moderate Imaging Spectroradiometer (MODIS) captured images of Hurricane Alex, one of only 4 hurricanes in the past 150 years to form over the Atlantic Ocean in January. 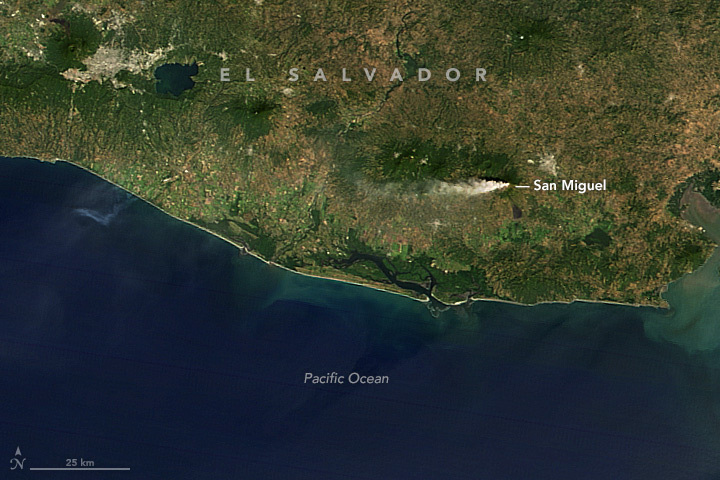 Eruption of San Miguel, El Salvador – On January 12, 2016, MODIS acquired this natural-color image of the eruption of San Miguel in El Salvador. 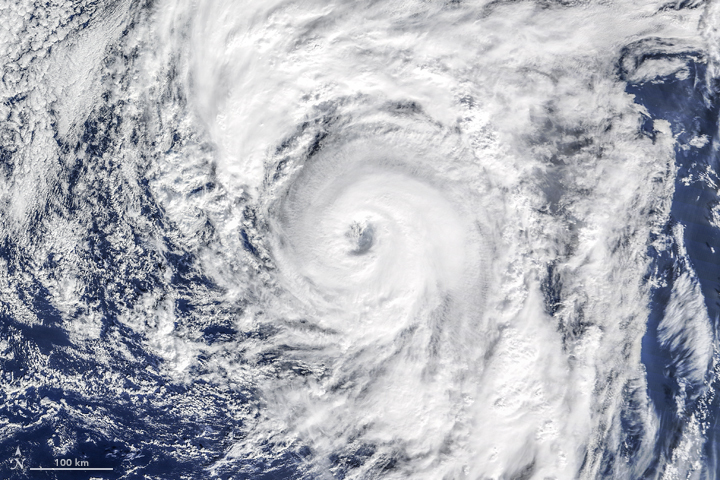 Hurricane Pali – MODIS on NASA’s Terra satellite captured this natural color image on January 11, 2016, It shows tropical storm Pali, which strengthened to a hurricane, becoming the earliest hurricane ever recorded over the Central Pacific Basin in a calendar year. 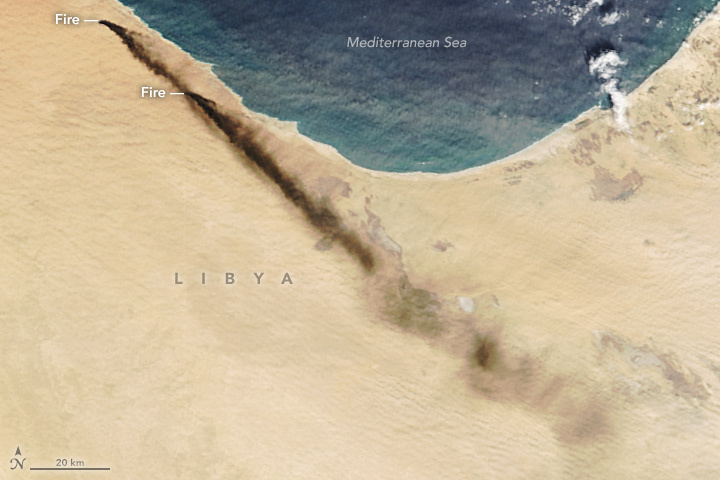 Oil Tank Fires in Libya – This MODIS image shows winds blowing smoke from oil tank fires in Libya to the southeast. Dry weather in southern Sumatra brought on by an unusually strong El Niño intensified seasonal fires in Indonesia. 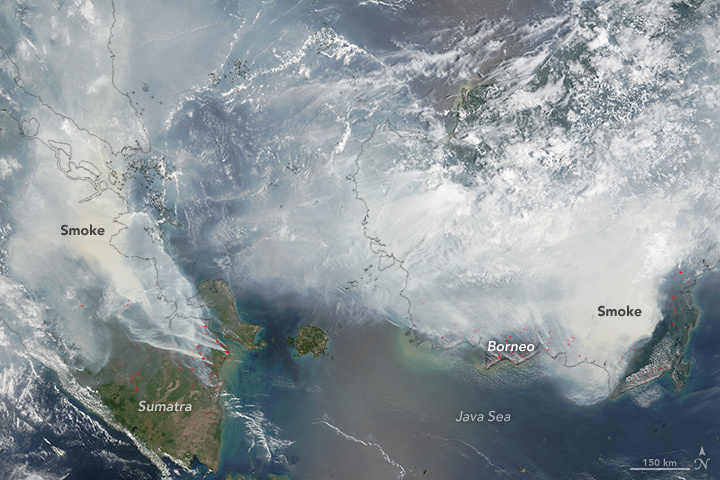 As shown in the image from MODIS on NASA’s Terra Satellite smoke blanketed parts of Indonesia throughout September and October. 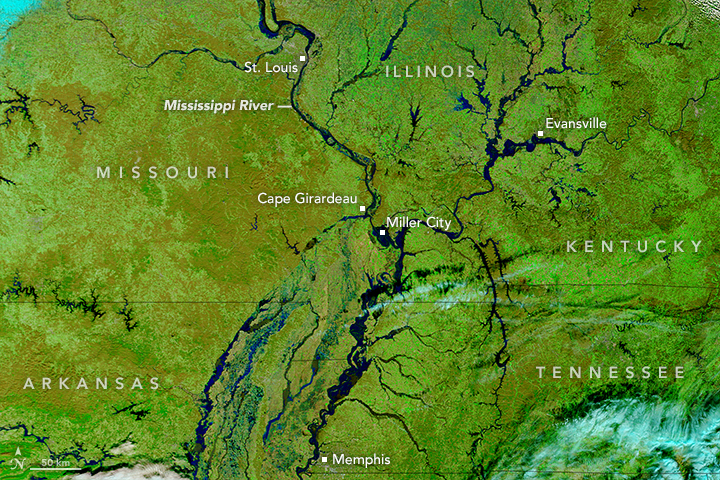 Unseasonable Flooding on the Mississippi River – MODIS captured images of flooding along the Mississippi River in Missouri. 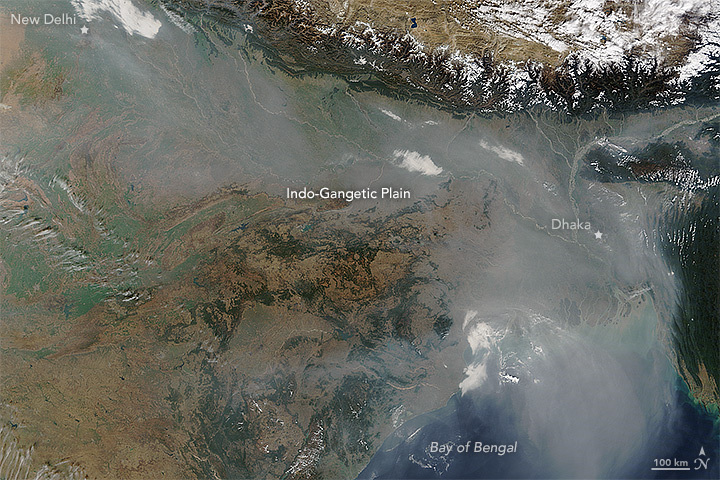 Haze over the Indo-Gangetic Plain – MODIS collected data on haze in the Indo-gangetic plain. The haze is likely the result of urban and industrial pollution, agricultural and cooking fires, and a temperature inversion. 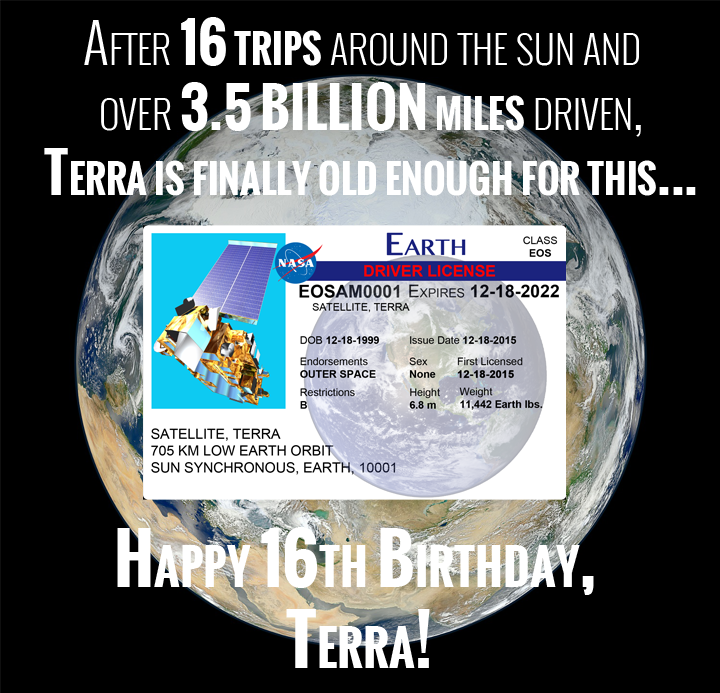 Celebrate Terra’s 16th anniversary with us. 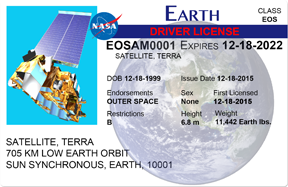 Print your own Terra Driver License! By the time most people turn 16 they have only driven a few hundred miles and much of that just around their hometown. Orbiting Earth more than 80,000 times, NASA’s Terra satellite traveled over 3.5 billion miles. More miles than 18,000 cars can drive in their lifetime, but Terra does it on one tank of fuel. While it’s not exactly the same fuel that powers cars, it is filled with about 340 kg of hydrazine. 340 kg of gasoline wouldn’t even fill one semi truck’s gas tank. While most of Terra’s energy comes from an array of photovoltaic cells, capturing energy from the sun, Terra still needs some fuel to maintain its orbit and avoid space debris. However, most of its fuel was used getting to its current orbit. The next time it will use much of its remaining fuel will be when it moves to a new, lower orbit to allow Terra to share the road with newer satellites in similar orbits. The length of a satellite mission depends not just on the longevity of its sensors, but also on the amount of fuel in its reservoir to safely exit the orbit. Terra currently has enough fuel to maintain its orbit into the early 2020s and to avoid space debris well after that. Data will continue to be collected at this point, but will be of a different nature because of the eventual drift in Terra’s orbit. Terra’s Mission Operations Team, in cooperation with Terra scientists, plans for multiple scenarios and works to ensure that the data Terra collects continues to be meaningful for scientific research. Even small changes in a satellite’s orbit can affect the data that it collects. Changing crossing time, the time of day at which a polar orbiting satellite crosses the equator, and altitude can affect the quality of the data collected. The Mission Operations Team works directly with the scientists that use the data, to make sure that any changes have minimal effects. Since Terra’s launch on December 18, 1999, Terra’ s data has been used in a number of applications and has contributed greatly to the satellite climate data record. Terra carries five sensors: Advanced Spaceborne Thermal Emission Reflection Radiometer (ASTER), Clouds and Earth’s Radiant Energy System (CERES), Multi-angle Imaging SpectroRadiometer (MISR), Moderate-resolution Imaging Spectroradiometer (MODIS), and Measurements of Pollution in the Troposphere (MOPITT). All of Terra’s five sensors contribute to atmospheric science research. 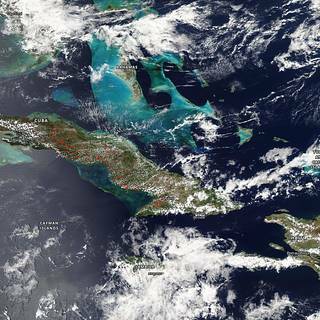 MODIS, MISR, and ASTER contribute to cloud property research while CERES, MODIS, and MISR are being used to monitor the Earth’s energy balance and imbalances. MOPITT, MISR and MODIS collect integral information on air quality, which is used to contribute to air quality and climate models as well as to assist researchers in testing the monitoring capabilities of future satellite programs. 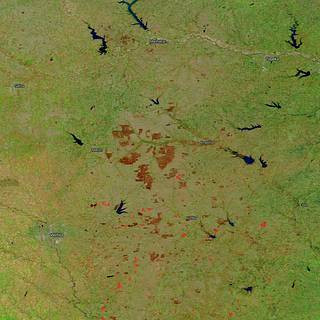 MODIS, MISR and ASTER continue to collect data on land cover, including fires and volcanic effects. This data directly benefits people on the ground. ASTER data is responsible for the most detailed digital elevation model of the entire earth, making climate models more accurate as elevation impacts weather and climate patterns. MODIS and ASTER are tracking changes in vegetation, volcanic activity and fire occurrence. 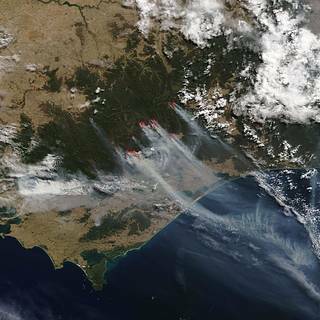 MODIS data was integral in attempts to monitor forest fires from space with the development of MODIS Rapid Response. This fight now has another companion, VIIRS on board Suomi-NPP, a joint satellite mission between NASA and NOAA. While MODIS Rapid Response continues to be used for forest fire monitoring, VIIRS data is also being applied to the algorithms, allowing more rapid detection of even smaller forest fires. Using data from both MODIS and VIIRS, this new application was recently adopted by the US Forest Service. Without the scientific achievements of Terra and the five sensors carried on-board, the next generation of satellite sensors would not be as advanced or be able to collect meaningful data to continue the scientific research pioneered by Terra. While Terra is not being replaced, Terra scientists eagerly await the launch of Sentinel 3 by the European Space Agency in the next month. Sentinel 3 carries the Ocean Land Colour Instrument (OLCI), which is similar to MODIS on Terra and Sentinel 3 will also have a morning crossing time like Terra. Terra won’t last forever, but its legacy will carry on in the future of remote sensing. For Terra, its not just about Earth system science, its about helping shape the future of satellite imaging, while continuing to collect meaningful data until the next generation of satellites are in place to continue the work started by Terra. Battling Wildfires from Space: NASA Adds to Firefighters’ Toolkit (2015, 16 July). NASA Benefits to You, Accessed December 5, 2015. Chohan, Rani, Scientists Confirm Earth’s Energy Is Out of Balance (2005, 28 April). Accessed December 5, 2015. Smith, Jeff. Tracking air quality from high in the sky (2015, 21 October). Atmospheric News. Accessed November 14, 2015. Piers Sellers, a former Terra project scientist and astronaut recently was published in the New York Time, sharing his story on Cancer and Climate Change. Piers Sellers is currently Deputy Director of the Sciences and Exploration Directorate and Acting Director of the Earth Sciences Division at NASA’s Goddard Space Flight Center. Image from GIS Geography. 100 Earth Shattering Uses and Applications of Remote Sensing. GIS Geography published a list of 100 uses and applications of remote sensing, where data from NASA’s Terra satellite appeared in over 10%. 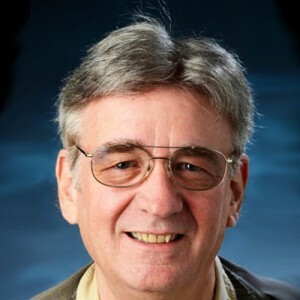 Washington D.C.—Michael King, Team Leader of the MODIS science team on the Terra and Aqua satellites, of the Laboratory for Atmospheric and Space Physics (LASP), University of Colorado Boulder, was selected as a Fellow of the American Association for the Advancement of Science (AAAS). King was elected as an AAAS Fellow for distinguished contributions to the remote sensing and analysis of clouds and aerosols, and for years of distinguished scientific leadership of the multi-satellite Earth Observing System, which includes Terra. Read the full release by LASP. Read more about Dr. Michael King.